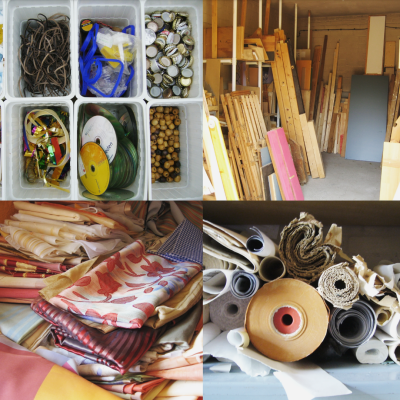 Kunst-Stoffe lives of the materials that you don’t need anymore: remnants, slightly damaged goods or reusable materials. Please consider for yourself, if the materials you have are suitabe for being reused. Since our storage areas are limited we only accept donations after previous agreements. Old clothes, furniture or appliances are disposed elsewhere. Please send an e-mail in which you describe the type and amound of material you want to donate beforehand. Wednesday / Friday noon – 6 p.m.
We can issue a tax-deductible donation reciept upon inquiry. The monetary value of the donation is decided by the donor. You want to support a local project, which goal it is to help the environment and strenthen the cultural landscape? 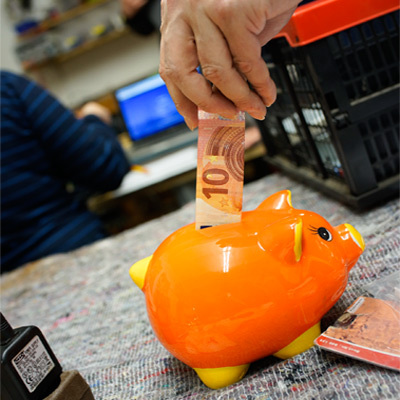 Then your donation is in the right hands with Kunst-Stoffe e.V.! account holder: Kunst-Stoffe – Zentralstelle für wiederverwendbare Materialien- e.V. We can issue a tax-deductible donation reciept upon inquiry. You’ve got some time on your hands and want to do something ecologically worthwhile with it? 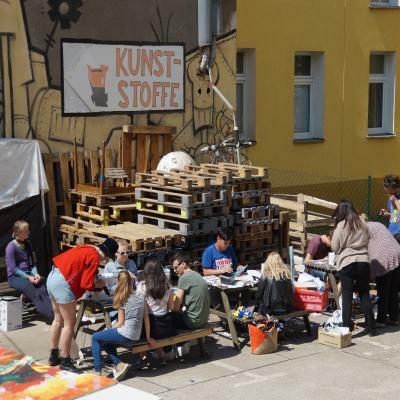 At Kunst-Stoffe many tasks are waiting for your participation! You can help to collect even more material that are offered for reuse. That way, we can avoid trash and strengthen the creative environment! Or maybe you have ideas for the reuse of materials, and feel like becoming active as an artist, designer or inventor? 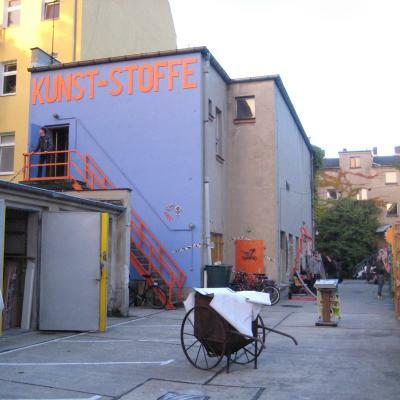 Participation at Kunst-Stoffe can be carried out state-aided under certain circumstances. You want to get involved with a sustainable berlin project and want to help? Bring forward an application and become a member of our project!